Are you in need to sock away the files and folders from prying eyes? You are at the right place. There would be multiple reasons to hide the files and folders. It could be: don’t want to share a specific file or folder with the one who shares your system. 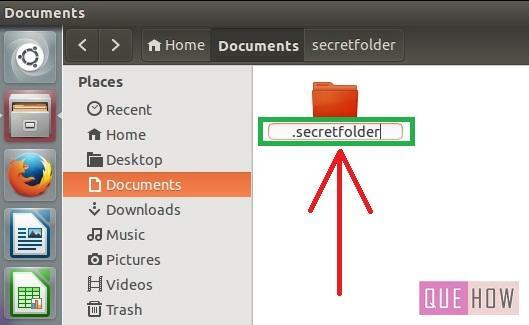 In Linux based distributions, you can deliberately make some private folders or files hidden from others. 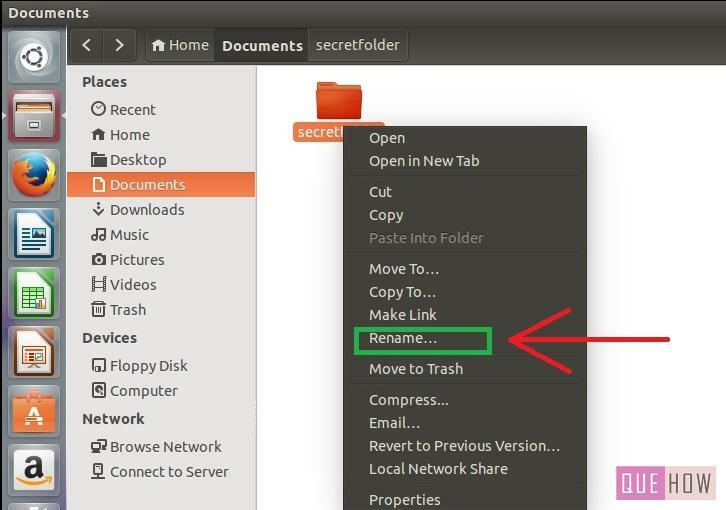 Through this article, you will learn how to hide & show files and folders in Ubuntu by performing the steps as explained below. I have used Ubuntu 14.04 version, but however, the steps can be applied to all other versions and distros like Linux Mint. Step 1: Open up the terminal, go to the directory in which you want to create a hidden folder. As I want to create that folder on desktop, for that, use the command “cd Desktop“, and press enter. Step 2: Now you will be redirected to the desktop directory. 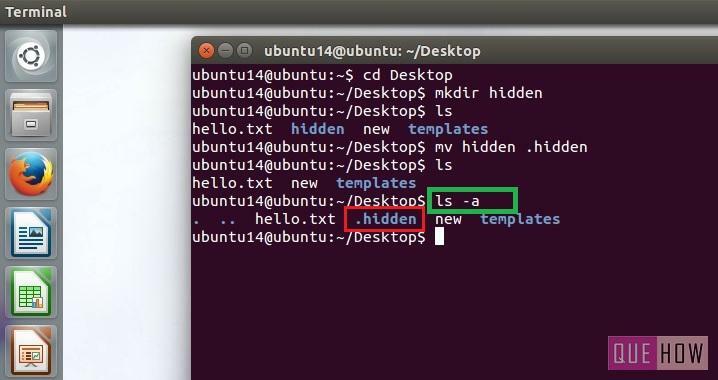 Here, you may create a folder using the command: “mkdir hidden”, where mkdir stands for make directory and ‘hidden’ is the name which I opt for my hidden folder. 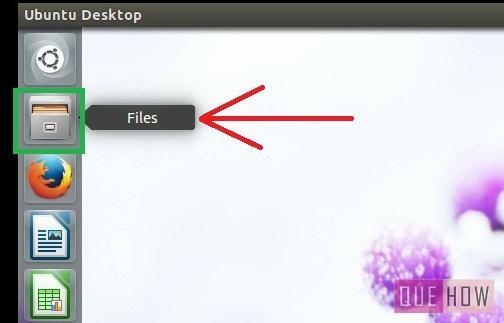 Step 3: Now Type “ls” command for listing all the files and directory stored in this particular location. 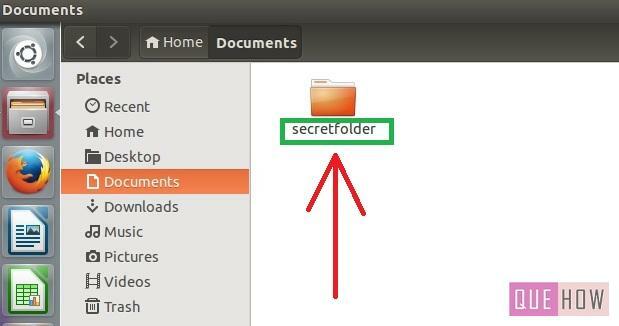 You”ll surely get the folder named as ‘hidden’ in this list as shown in the figure below. For better understanding I had displayed hidden folder on the desktop as well. 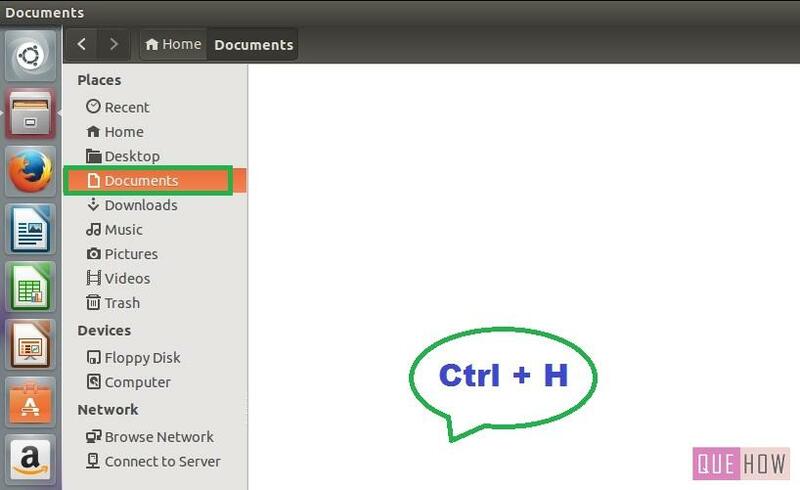 Step 4: In Linux system, all the files which are hidden had a prefix before the file name as (dot)’period’ . If you want to hide a folder, then you should also do the same. For that, type “mv hidden .hidden”, as you know that mv command is used to move the file that will move the ordinary directory/folder which you have created to an invisible file. Follow this step and proceed. Step 5: Again, use “ls” command, Now you will observe that the ‘hidden’ folder is no longer available on desktop as well as in the desktop directory. Step 6: In order to view all the invisible as well as ordinary folders, we use “ls-a” command. Type “ls -a” to see the effect. Step 7: Type “mv .hidden hidden” to make the folder visible to everyone. Step 1: Go to the ‘files’ icon, click on it. Here, all the files are stored. Step 2: I had selected ‘Documents’ area to create a folder. As of now there is no folder here, Right click on the empty area and choose “New Folder” to create a folder. 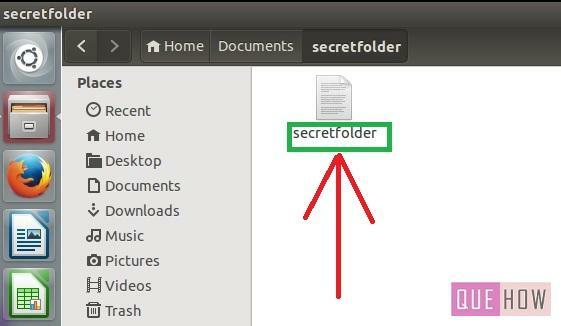 Step 3: Give a name to the folder, I named it as ‘secretfolder’. Step 4: Double click on that folder to open it. Now, right click anywhere and then click on ‘New Document’, to expand it click on the arrow on the right side of it. Choose the ‘Empty Document’. 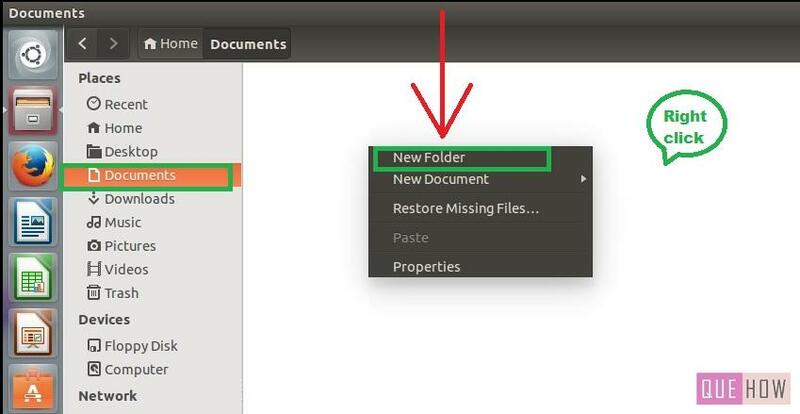 Step 5: I have Named the document similar to the folder, as shown in the image below. Step 6: Go back to the folder, and right click on it to rename. Step 7: Put a dot before the name of the folder, to make it hidden from others and nobody could imagine that there is a folder located here. Step 8: Close the window and then again go to the Documents area. Here, you would not find your folder.In order to view it, press “Ctrl + H”. It will be visible to you, to hide it: do the same. In this way, you people have learned how to hide folders as well files inside it. Like our page, if you find this tutorial helpful.